The Customize Windows > Wordpress and SEO > SEO tips > How to create the SEO optimized structure of your website? It is a question that is often asked and searched in the Google and rightly why not ! 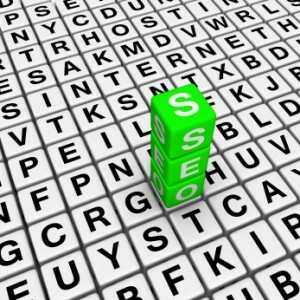 Today, having a structure optimized for search engines is key to improving your SEO. This is especially true when your site is designed to handle thousands of pages. It is often the case with online shopping sites, news, a big blog site with many categories, sub categories like this one. SEO strategies are not the same and changes according to the site to optimize, but the optimization of the structure is a common in almost every site especially those with a certain amount of pages indexed. What is an optimized structure? Above all, an optimized structure is a site structure that is useful for both search engines and Internet users. It is a structure that allows you to find the content useful to a few clicks on the home page. This avoids too much looking and finding for getting interesting content. In carrying out projects to reduce levels of depth of contents (flat structure), you will gain a lot in SEO (traffic long tail) and significantly improve key indicators such as rate of indexed pages and the rate of active pages (generating traffic ). Why we need to optimize the structure of website? The optimization of the structure of your site is important when your site runs several hundreds of thousands of pages. There is a real issues to optimize the structure and an important factor to increase traffic by launching this type of structural sites. Spread the page rank by offering internal linkings like random posts, related posts and in text links. How many links from the home page runs deep to the contents? Google recommends putting a hundred links per page. In reality, there is no specific number (or magic number) to put links on a page. Everything depends on the popularity of the page in question: a very popular page can contain well over 100 links. We see the big e-commerce site which may contain up to 400 links in home page or on their links pages. If your site has little popularity (say number of unique visitors <2000 for more than one year website), we will advise you to give precedence links to your category pages. This will allow you to transmit immediately the link juice to those pages that will take charge of transmitting to the product pages / articles that will meet on long tail phrases and therefore will require the minimum effort to be crawled and indexed. There is a minimum threshold of link juice that takes to reach a page from the Google index. Without this signal, the page will never crawled therefore placed in the search result. Putting forward the interesting content will thus can better distribute the deep pages and therefore ensure that these pages get the link juice enough to be positioned. 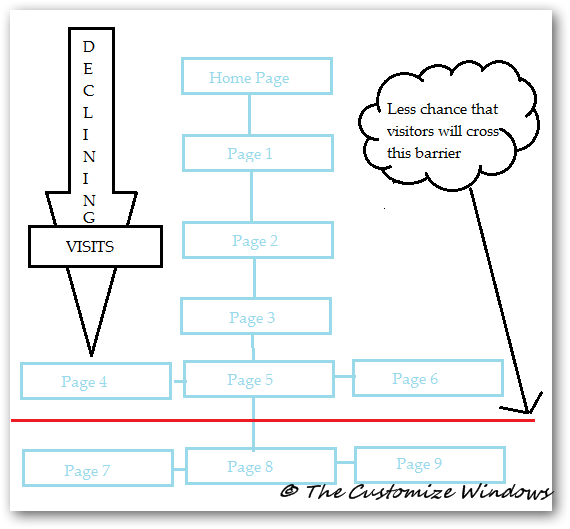 Traffic will be greatly impacted, and the number of pages that you go back into the structure, you will see how these changes are important to improve your traffic. Unlike a pure flat structure, the cross-linking is very important to bind the pages together. One can also use these techniques to either transmit to improve the positioning of your pages with phrases a little more competitive. Here you aim is to get more traffic. The effect of this type of optimization is very important and can save you a lot of positions in the SERP’s and never forget that this linking is also used to improve the indexing of your content. What search on the Internet make visitors arrive on your landing page? This information is vital if you want to improve your ROI but also to optimize your landing page to highlight information that users seek. If users search the same keywords on certain pages of your site, perhaps it is because information on the page is not obvious or not very clear navigation. This is why, tracking on site searches (like using search meter plugin in WordPress) is important. Moreover it may give you ideas for terms / pages to be created. Practical near to ideal structure is our header navigation menu. You are seeing it as a drop down menu as a human; which is easy and eye candy for you. On the other hand, the search engine see it as a listed ordered list of links. Simply, flash menu will not help the search engines to understand your logic of arranging the orders. Use CSS and HTML to create a menu. If you can not do it, simply put an ordered list of links on the header with good tool tips. This Article Has Been Shared 7381 Times! Articles Related to How to create the SEO optimized structure of your website? Title: How to create the SEO optimized structure of your website? 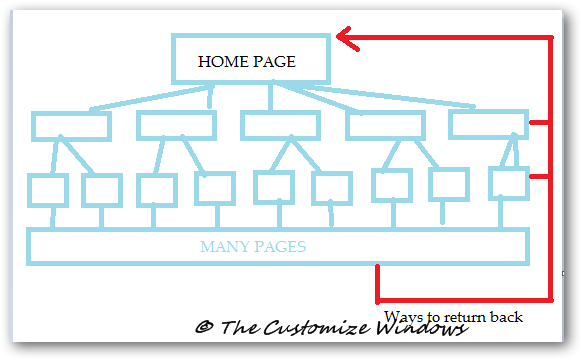 Cite this article as: Abhishek Ghosh, "How to create the SEO optimized structure of your website?," in The Customize Windows, March 30, 2011, April 19, 2019, https://thecustomizewindows.com/2011/03/how-to-create-the-seo-optimized-structure-of-your-website/.